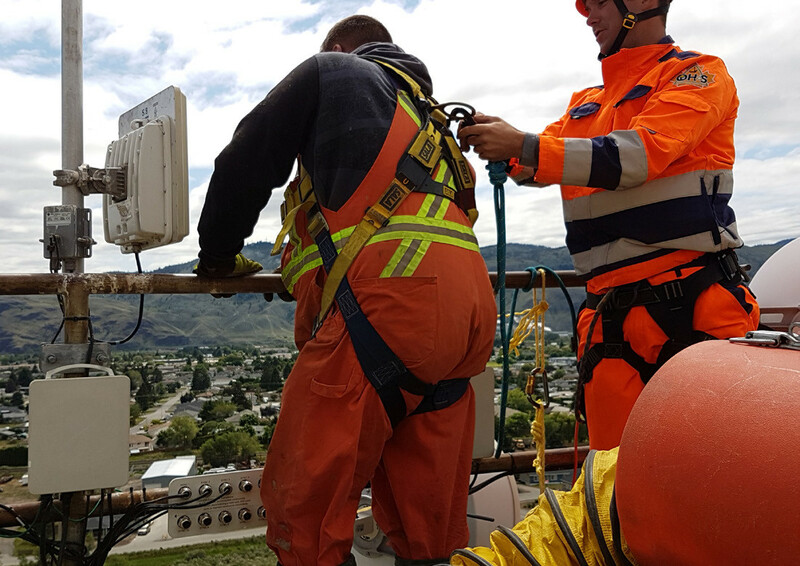 Our Fall Protection training course has been developed for those with an occupational requirement to be trained to safely perform work at heights. The Fall Protection course is for any employee who may be expected to complete work-related tasks that expose them to danger when working at heights. This Fall Protection course will also establish an understanding of the statutory requirements of the federal COHS, Provincial and Territorial OH&S legislations. We will achieve this through discussion of fall protection fundamentals and by participating in skills exercises. Describe effective fall protection, and where a fall protection plan is required. Describe various hazards and know how to handle hazards that are identified. Understand the hierarchy of choices and how conditions of the workplace affect the choice of fall protection. Should something go terribly wrong, you will know how to prevent prolonged suspension in a post fall protection device and you will understand how to effect a rescue. If you do not own your own safety gear some will be provided for you. Contact Us to enroll in this program.